Coming in to Everbound, I was sort of stuck in between two opinions about this series. While I did enjoy Everneath, I simply couldn't make myself care for this series' main character, Nikki, while reading the said novel because I could never understand how she makes her decisions. Heck, everything about her confused me. Also, truth be told, I never thought that what she and Jack had was something serious, nor was it infinitesimally special. I found myself quickly tiring of both Nikki and Jack (but especially Nikki) for at least half of the book, but certain aspects of the novel, as I said, did make me enjoy it. To elaborate, for me, Cole, as well as this world Ashton created, were Everneath's saving grace, and basically why I decided to read the sequel in the first place. Cole is a thoroughly complex character, one who does everything opposite of what he's really thinking and feeling, and I wanted to see how Ashton would peel off his layers in the subsequent books. While the myth concerning the Everneath did confuse me at first, I soon found myself devouring every piece of information I can get about it. Lastly, Everneath ended in a huge cliffhanger - of course I wanted to know what happens next! I know I said I initially didn't like Nikki, but she really redeems herself in this book. Gone is the lost girl who seemingly does nothing but mope and roam around with no real destination in mind - in Everbound, Nikki is all about action. She doesn't waste time, she knows what she wants, and she'll do anything to get that. I love this Nikki - I love that she's so driven and focused in her desire to save Jack; I truly feel that nothing could have kept her from her ultimate goal. Moreover, I had no problem connecting to Nikki this time around - Ashton does a bang-up job in conveying every aspect of Nikki's emotions! I also previously mentioned that I never thought that Nikki and Jack's love was remotely note-worthy, but hey, let me just gobble that opinion up. Through Nikki and Cole's journey into the Everneath, Nikki is forced to look back on past memories with Jack so that she can form a tangible connection with him, and these flashbacks allowed for more insight into Nikki and Jack's relationship. We get to see them as friends and as lovers; we get to see all sorts of fond and not-so-fond memories Nikki has with Jack. These flashbacks enriched how I saw these two as a couple, and I am now in no way denying that they are truly in love. While reading Everneath, I wasn't wholly sure whether Cole was truly in love with Nikki or he simply needed her to be his queen, but I got my answer throughout the course of events in Everbound. Cole has convinced me that with or without love in the equation, he truly cares for Nikki and he'll do anything to make her happy. Cole is truly an intriguing character - just when I thought I have him pegged, he does a complete one-eighty. He keeps me guessing; he keeps me on my toes! Oh, here's a little heads-up, get ready for the cliffhanger of all cliffhangers - Everbound's ending completely blew me away! I remember blinking rapidly and thinking that I must have read wrong, because things couldn't have happened like that... but they do! Heck, a few expletives were even screeched because of that ending! Few sequels are better than the first, but Everbound is miles better than Everneath. I enjoyed every page; I loved both the character and world-building. Ashton has truly outdone herself with this sequel, and I can't wait to see how she wraps everything up! Wow. Your review definitely just made me want to read this book. 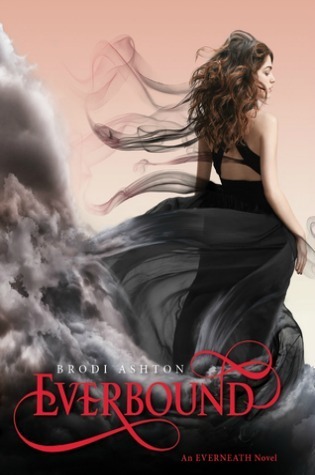 I haven't read Everneath yet (although its on my TBR) but I won a copy of Everbound and now I'm really ready to read both! I love when sequels are better than the first book, and I'm totally excited to see how I feel about these characters!